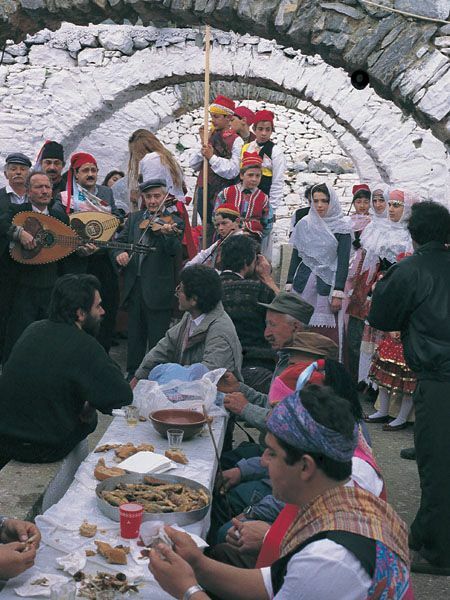 Amorgos is one of the islands in Cyclades Greece, which although it receives many tourists, it still remains a traditional islands, where the visitor can witness many celebrations. People are happy and hospitable. They like to organize and participate in many festivals during the year! These festivals are usually related to religious holidays. 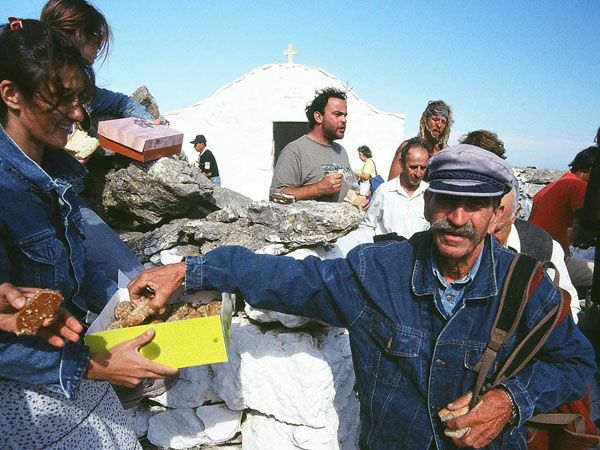 Greek Orthodox celebrate name days and as there are 365 smaller or bigger churches, chapels and Monasteries on this small island, you have a big chance to be part of one festival, if you visit Amorgos. People walk, or ride their donkeys. 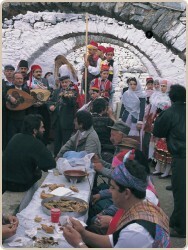 After services in church, bread and sweets are offered to everybody by people celebrating their name day. Then they proceed to a special building near the church, where there is traditional food cooked for everyone. Depending of the celebration, they are served "xydato" meat soup with strong garlic and vinegar taste, "patatato" - goat meat and potatoes in tomato sauce, chickpeas soup, "Kofto" - wheat porridge with onion and cheese or fish. All the ingredients, are donations by the parishioners, and cooking, serving and cleaning are volunteer work. 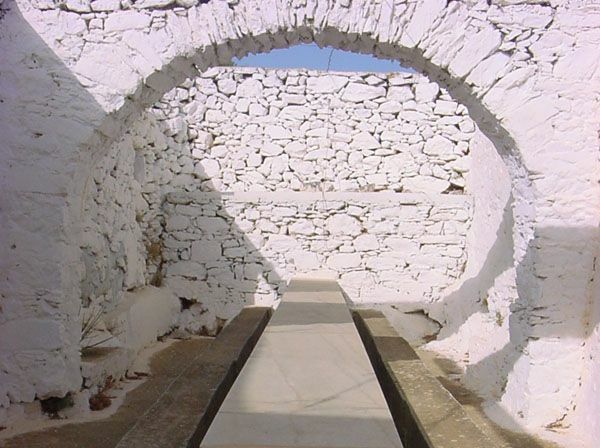 The eating area, is a long room, usually with a big stone arch in the middle, long stone table, and seats. There is always plenty of wine and jokes and stories are part of the day. Films projections, international conventions, photos exhibition... 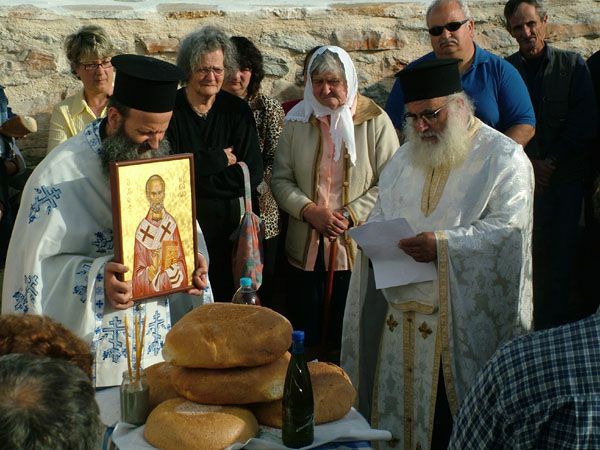 These last year Amorgos & its Associations regularly organize different events. Most of them are cultural, social or informative. All year long something is happening !